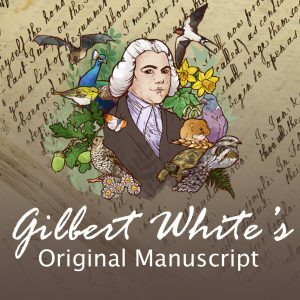 Moths are sensitive indicators of the health of the natural environment and a vital part of the food chain; something which didn’t escape the attention of Gilbert White as early as the 18th Century. Join us for this annual celebration on Moth Night 2017 and learn a little more about moths. 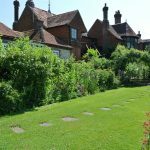 We shall be explore the garden and grounds of the Gilbert White’s House by torchlight in a search for Autumn moths pollinating perhaps on ivy blossom or attracted to sugared tree stumps and posts. We shall also be inspecting a couple of light traps to aim to show what moths are on the wing in Autumn. As well as helping to identify any moths that are seen, there will also be an opportunity to experience other nocturnal life in the grounds especially looking out, or listening, for owls and bats. This event will include outdoor activity including a short walk so please come dressed appropriately for the weather and time of year with sturdy footwear and bring a torch. A warm drink and biscuits will be provided during the evening’s activities. For those particularly keen, you are also welcome to join us from 09:00 on Saturday 14th October when we will be opening the light traps left out all night to identify and record any additional moths attracted during the night.